Crews were responding to the scene of a crash along Interstate 95 on Thursday morning. 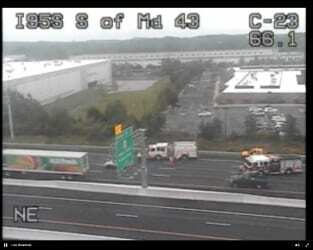 At just before 11 a.m., an accident was reported along northbound I-95 just south of White Marsh Boulevard (Route 43). The Maryland Transportation Authority advises that the three right lanes are currently blocked along northbound I-95. There were injuries reported, however there has been no update as to their severity.